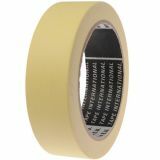 Paper tape, 40m x 18mm Paper tape 40m x 18mm. Used to mask, cover, seal, pack, fix, and more. Ideal solution for repairs and painting. To be mounted on clean and non-greasy surfaces. 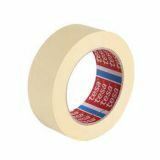 Paper tape, 40m x 24mm Paper tape 40 m x 24 mm. Used to mask, cover, seal, pack, fix, and more. Ideal solution for repairs and painting. To be mounted on clean and non-greasy surfaces. 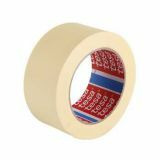 Paper adhesive tape TESA 40m x 29mm Paper tape 40 m x 29 mm TESA. Used for masking coating, sealing, packaging, fixing and others. Ideal solution for home renovation and painting. Be installed on clean and degreased surfaces. Safe for use. Product manufactured in the EU. List Price 2.60лв. VAT Incl. 2.47лв. VAT Incl. 2.34лв. VAT Incl. 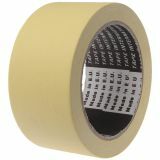 Masking tape 36 mm x 40m Masking tape 36mm x 40m. Used for masking, coating, sealing, packaging, fixing and others. Ideal solution for home renovation and painting. Be installed on clean and degreased surfaces. Safe for use. Product manufactured in EU. 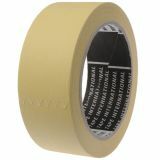 Masking tape 48mm x 40m Paper tape 48mm x 40m. Used for masking coating, sealing, packaging, fixing and others. Ideal solution for home renovation and painting. Be installed on clean and degreased surfaces. Safe for use. Product manufactured in the EU.